Here's a quickie - the 30-second opening credits from the "latest" addition to the CSI franchise. 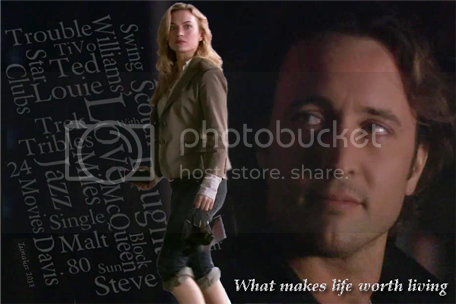 Link: CSI: Vampire - A New Series! Lilly, you're brilliant ... and I'd even watch that show if it meant being able to see the Moonlight gang again. *sigh* Sad but true. I remember seeing that on youtube and lovin' it, I didn't realize that you were "QuiteOrdinary" Lilly. I love your videos and watch them all the time. Oh, I'd watch it for sure! 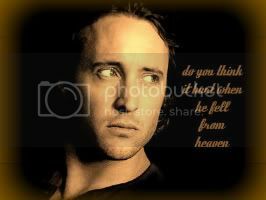 Lilly, I just bumped into this on youtube by accident .... *laughing* ... it is totally, totally, awesome. It's exactly like the opening credits. Brilliant! Lilly, you are frikkin hysterical! That was great! 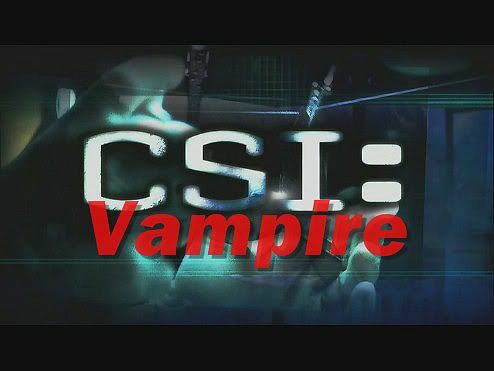 I'd definitely watch CSI:Vampire, but only if you had creative control! Wow! Thanks, ladies! At about 30 seconds, this was the shortest video I've made, but definitely the most challenging. I'm so glad you got a kick out of it. You ladies have superior computer skills! I bow to the masters! This is fantastic, Lilly! How, though, do you learn to do this kind of thing? I keep asking around, but I am still stymied on how to do it. And then there's the hands on hip thing, but Mick does it much better. francis wrote: And then there's the hands on hip thing, but Mick does it much better. Thank you for the giggle, ladies. Oh, agreed...but CBS is rather superficial, don't you think?